ENHANCED E-COMMERCE · 8-MINUTE READ · By Tina Arnoldi on June 27 2017. 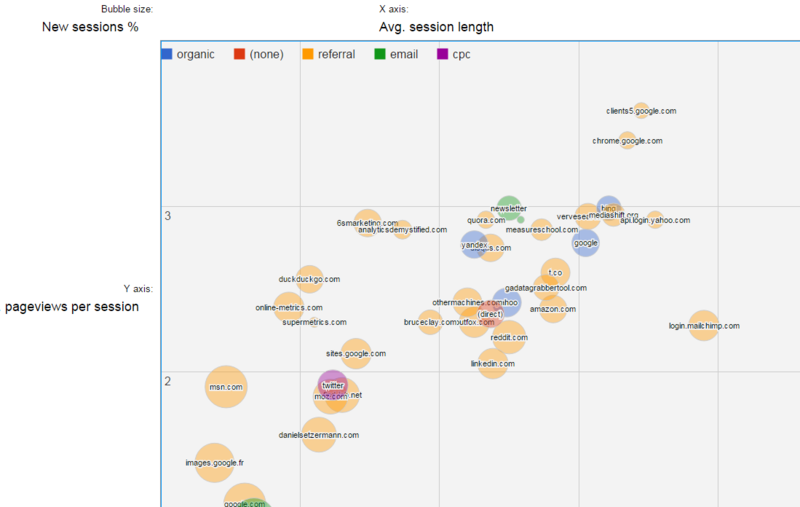 Google Analytics helps marketers make data driven decisions to improve business. It organizes raw data into informational summaries that provides a snapshot of the business. The role of the marketer is to then analyze that data and apply it to improve website performance. With e-commerce businesses, they need to not only understand the good things happening on their websites, but also the negative things such as abandoned shopping carts. Users can create and access high level daily overviews with dashboards or custom reports directly in Google Analytics, use Data Studio to organize data or the Supermetrics add-on. Any of these views will enable marketers to quickly look for anomalies in their data. Following are some tips for making decisions based on ecommerce data once you have a view of your data that provides what you need for your role. 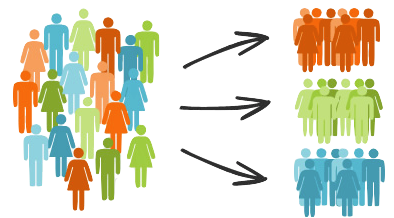 Segmentation helps with analysis by filtering data in real time to isolate and compare subsets. Marketers can then identify poor performers by sessions or users and see what caused a change in expected results. Some helpful segments include date range, dimensions, and table filters. Additional ones for getting below the surface include device category, geography, and visitor type. These segments can help you understand the differences between people who bought and those who did not. Then drill into the detail to see which channels bring in revenue, have the highest and lowest conversion rates, and user engagement which could turn into in a sale later on. When it comes to any conversion, including ecommerce, it is important to remember that not every click on a marketing channel will directly convert to a sale. 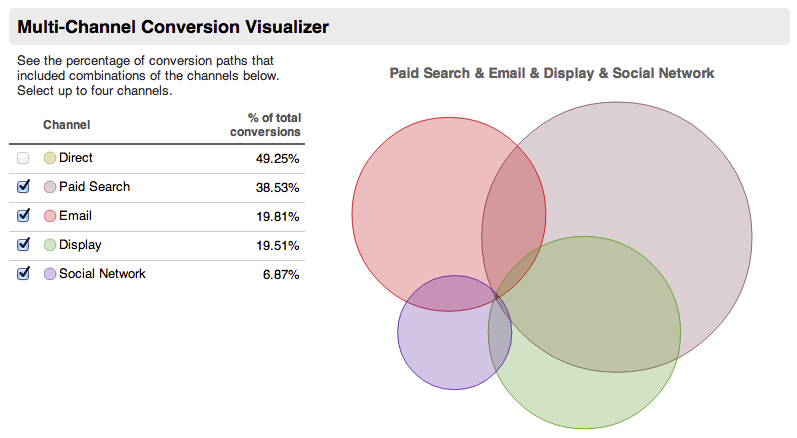 Since channels influence each other in driving conversions, digital marketers also want to look at the multi-channel conversion visualizer to view this influence. An additional view of the data shows how much a channel influenced the decision to purchase. For example, traffic from a referral source may engage people early in the buying cycle who may not actually convert until weeks later. You want to analyse the value of those channels that do not generate direct conversions and consider the assisted conversion value. At Google Marketing Next, Google announced some big changes, including with attribution that will make it easier for marketers to understand how channels work together. The influence of each channel will be much easier to measure when this is publicly available. 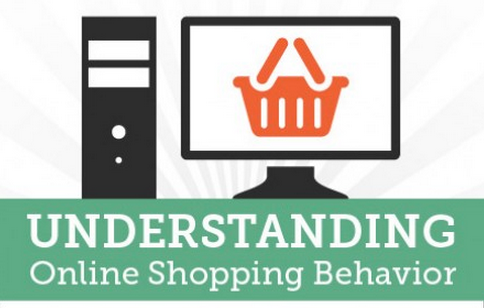 Google Analytics offers a number of views about on-site shopping behavior with details about products, categories, and sales. The amount of ecommerce data information available is dependent on how the ecommerce retailer organized products during implementation. Marketers can see details when customers viewed a product, initiated a purchase, abandoned the cart, or completed transactions. An increase in revenue is obviously great news, but it is still important to know why because there may be opportunities to replicate that success. When doing an on-site merchandising analysis, a good starting point is to view a simple product list report and see which one performs the best. This report provides a high level overview based on how products are grouped on the site. View the CTR for the highest view product. Do you have a lot of views but few clicks? It could indicate a need for optimization on those product descriptions. Or do you have a high CTR but not very many views? Since those are popular products once discovered, feature them more prominently or replicate what is working to products that have a significant number of views but a lower click through rate. The goal is to learn from what is working well and apply it to other product lists. You can also drill into views of products that did not meet sales expectations for a selected period of time. This is when analysis comes into play to discover potential issues that may have lead to declining sales. Start with the product refund amount if sales expectation were not met for a specific product. Those items are a priority to address since there is a significant cost beyond that single refund. If it happens with new customers, it is harder to convert them to loyal customers if their first experience is negative. And the returning customers may not keep coming back at some point. Investigate cart-to-detail to see how often a viewed product is added to a cart and buy-to-detail for purchases. These are simple reports and will not tell you why the sales were low but imply potential issues on the product detail pages. The low cart-to-detail could be a disconnect between external marketing messages and onsite information. View the traffic for that segment to see if a marketing message needs to be adjusted. Maybe pricing is different than expected or there was a technical issue with that particular page. It could also reference an out-of-stock product so it could not be added to the cart. There are any number of reasons which is why you want to use segments for a closer look. If buy-to-detail is low, critically examine the checkout process for high shipping costs or long shipping times. As consumers comparison shop and find better prices, that can also deter them from completing a purchase. This is where on-site consumer surveys may be helpful. Success today does not mean success tomorrow. Consumer needs and wants change along with the market. Finding opportunities to improve online performance moves you from simply reporting raw data to analyzing customers and shopping behavior to make those data driven decisions. For more commerce help, you can find additional tips to improve the ecommerce experience in an earlier post and use the E-commerce Report Template to organize your data.